conflicting information and cultural influences to find who they are. 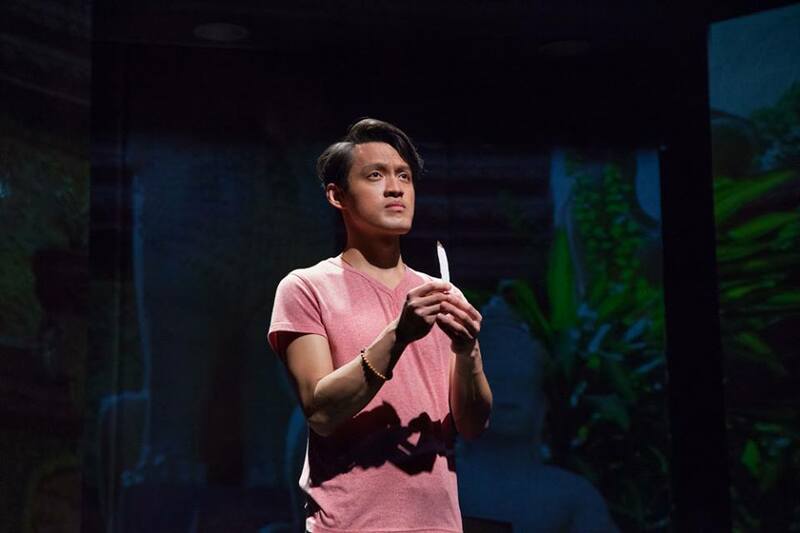 into one young man’s struggle to reconcile his dual identities as a Cambodian-American. has an overwhelming need to belong, and it shows even in the smallest interactions in his job. every word he speaks in his native tongue, English, to make sure they know he is an American. lacks the basic prononciation to even say “I”. For Guy, this quest to belong in both cultures is complicated by a sense of survivor’s guilt. millions of other Cambodians, endured. the script and Chum’s performance are worth the cost of readmission. This entry was posted in Drama and tagged 2018, KJ Sanchez, Knyum, Lowell, MA, Meghan Moore, Merrimack Repertory Theatre, Vichet Chum by craigidlebrook. Bookmark the permalink.